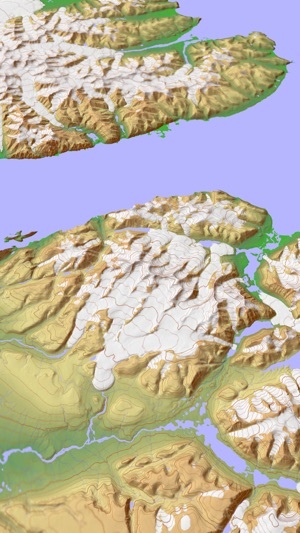 A 3D topo map with coverage of the entire world. 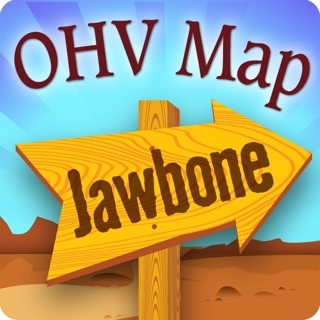 The map is streamed directly from Apple's servers and cached on your device for use when there is no cell coverage. 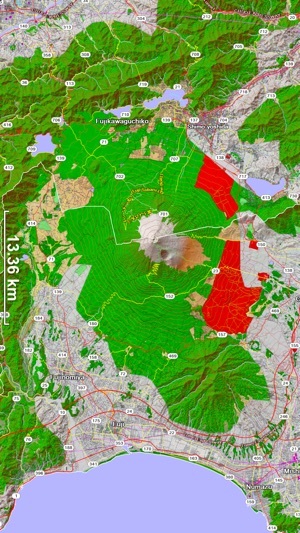 Use Scenic Map in a car, a boat, a plane or while hiking. It is like having the entire Earth in your pocket. 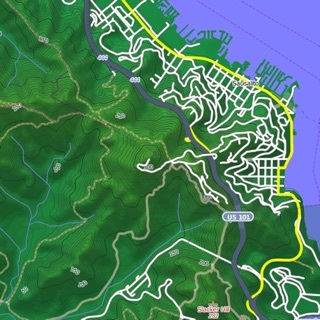 Satellite image overlays add breathtaking detail and realism to the maps (tap preset 2 or 4). You can use them as you travel to see what is hidden from view at ground level. This takes moving maps to a whole new level. To get started, tap the arrow button in the toolbar to begin GPS tracking and center the map at your current location. The spinner in the status bar shows that the map is being loaded. The spinner stops when the map is fully cached at that location. 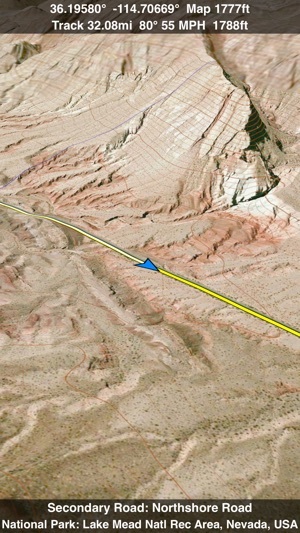 You can scroll around the map or tilt the map with a two finger vertical swipe to see it in 3D. Your tracks can be replayed with video like controls to speed up, slow down, pause, restart or skip to the end. You can display existing tracks while recording another if you want to retrace your route. When online, you can automatically create a route from your current GPS location to any other point on the map. Tracks can be received from or sent to other apps in GPX format. GPS recording stops automatically after you have remained stationary for some time or you can choose to manually stop tracking by tapping on the top track in the Tracks view. Junk. Crashes constantly on iPad mini 2. Tried everything to fix it to no avail. Garbage with great potential. Please contact me and I will help you fix the crash. I use the app an iPad mini 2 myself and am not having any crashes. You can probably delete the app and download it again to fix the crash if it is due to bad data.